My Bolivian colleague, Foreign Minister of Bolivia Fernando Huanacuni Mamani, and I had constructive and intensive talks. 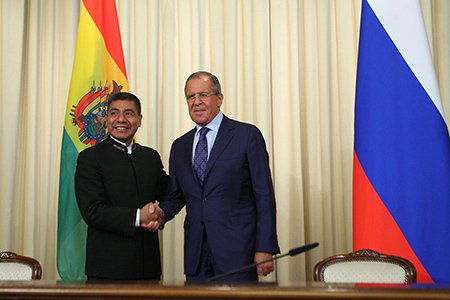 The minister of the multi-ethnic state of Bolivia conveyed the message of the president of that country Evo Morales to President Putin. We reiterated our countries’ commitment to expanding our partnership across all areas. Mr Co-Chair, colleagues, friends,Before all, I would like to thank our Philippine colleagues for the warm welcome and excellent organisation of our event. 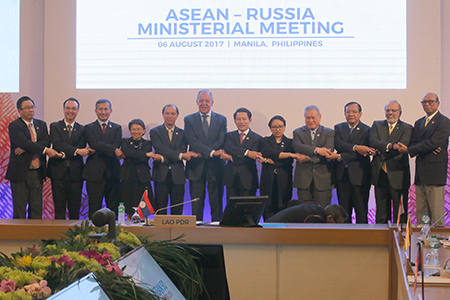 I also want to express my gratitude to Laos as the current coordinator of the ASEAN-Russia Dialogue Partnership for ensuring well-coordinated teamwork. 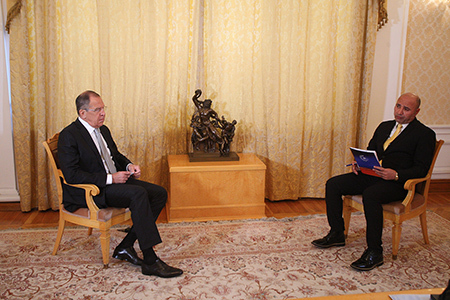 Question: Good afternoon, Mr Lavrov. Based on the recent visit by Prime Minister of Iraqi Kurdistan Nechirvan Barzani to St Petersburg and his meeting with President Putin and you, how would you describe relations between Russia and Iraqi Kurdistan at this stage? 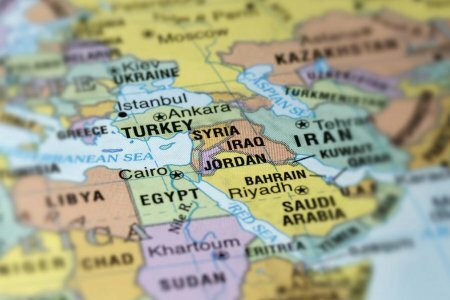 There’s been talk by the US for over a decade already about a so-called “New Middle East”, a vague concept which was never officially described by American officials yet has been heavily speculated upon by the expert community, both within the country and abroad.